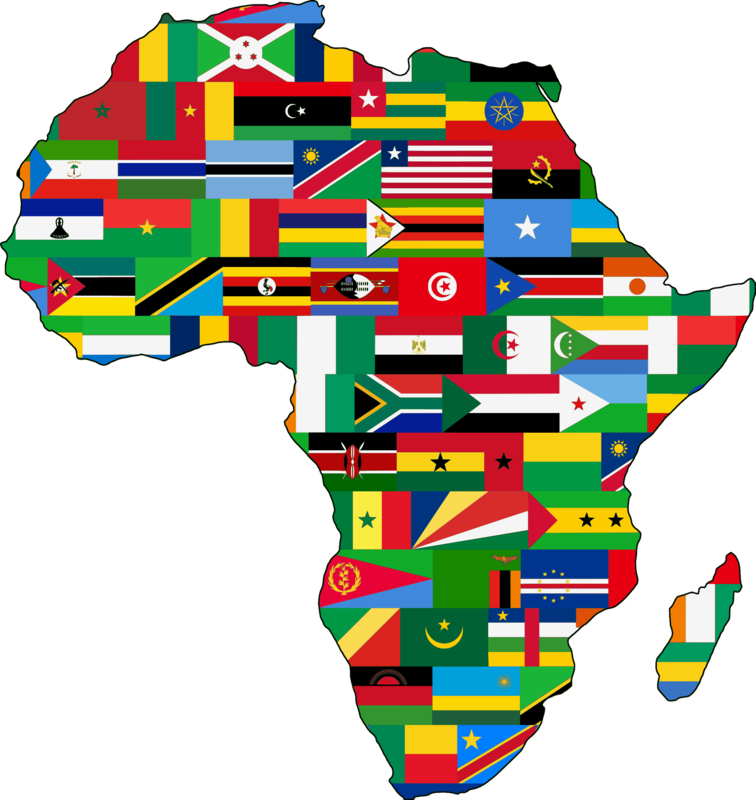 The state must play a key role , Africa must end subordinate role. Africa is resources rich but African s are poor. Mining is the major revenue earner on the continent. uncoordinated revenue authorities, both intra and inter country, ambiguity in tax legislation leaving it at the discretion at the tax payer. Tax holidays given to mining companies. Tax deductions based on social investments. Tax competition “Race to the bottom”. Finance and mine ministries must work hand in hand, not in silos. Similarly, more collaboration of the laws that govern the resources are needed. Decision makers in government should be capacitated to be well versed in terms of issues affecting both finance and mining. Corporate social investment should be made compulsory. After all, companies get that money back through tax exemptions. Royalties and taxation. Which is the better between the two. Either or. Optimum royalties it’s given. There are very low royalty rates. With tax they can fiddle accounts. Need to prioritize revenue from mining through optimum use of royalties and/or ta. Value added tax – this should not be claimable by mining companies as this is another way of channeling revenue back to the mining companies. Proper research needs to be done by governments before they come up with taxes, or mining policies etc. Need for the 3-way engagement: Mining corporations, government and civil society. Government is responsible for protecting rights. Dialogue is needed at tripartite level. Implement HR, adopt strategies, be public. Engagement of stakeholders and grievance mechanisms address sustainability. Riche get richer, poor get poorer model must be confronted. Government should raise money for quality public service. Big companies are not paying tax in most cases. There should be a public engagement initiative. Mining companies must be encouraged not to dodge tax through moral suasion. Tax justice policies must be implemented, in many countries they are dormant. Hold government accountable on the way they spend money. Without machinery or investments, communities can’t move forward. Disinvest in companies with no interest in communities. Abuse of power is what currently exists, no development. Corporates should have rights with responsibility. 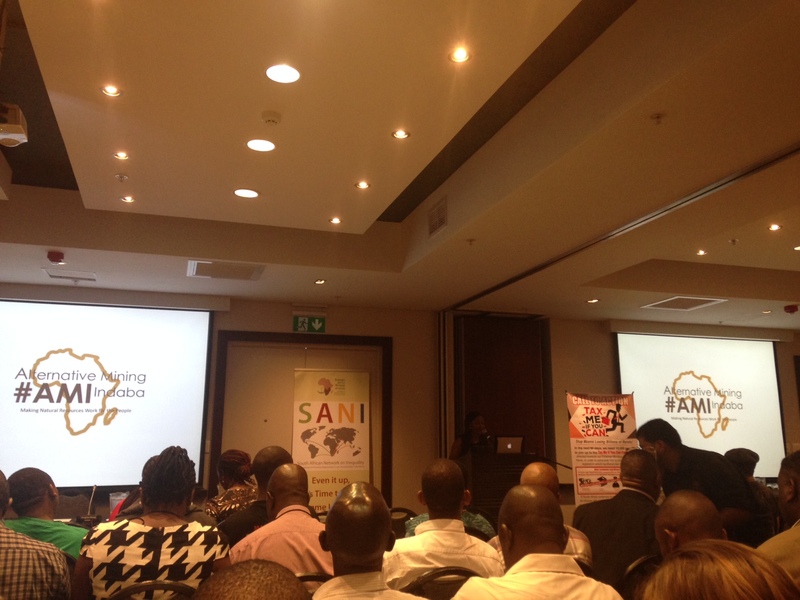 National seminar for artisanal miners such as one to be held by MACUA needs to be replicated in other countries. Need for policies that will protect and recognize artisanal miners. Gender representation in artisanal mining must be promoted. Need for states to help curb violence among artisanal miners. Artisanal miners need help in getting fair prices for their products , particularly from big corporations. There should be a mechanism to protect artisanal miners from exploitation by vendors of mining equipment. Most have these repossessed. 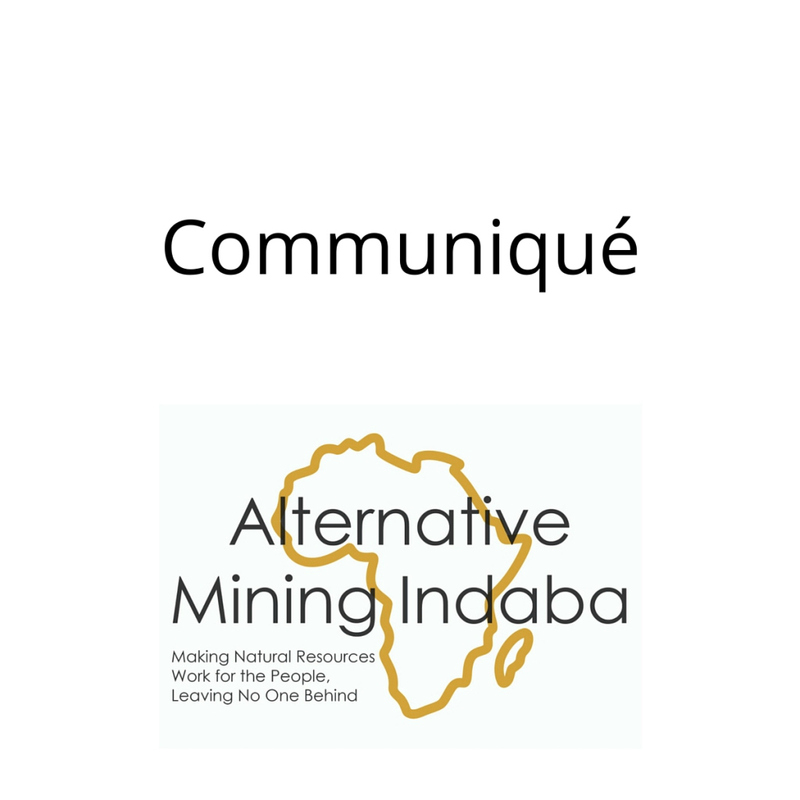 Despite the economic significance of the mining sector, issues of unequal access continuously surface when discussing mining within the SADC region given the history of colonisation. As such minerals have not produced the expected outcomes in the region. Women are primary producers and processors of food and their livelihoods and those of their dependents are therefore deeply impacted when communities are displaced from their farming lands and when male labour is absorbed into mines leading to greater labour burdens on women and children. When mining occurs, poor rural women are likely to obtain the most marginal and lowest paid jobs on industrial mines and are particularly vulnerable when exposed to artisanal, small scale mining. ASMs must be decriminalised so that miners can be trained and safety standards can be maintained. Legislation must be empowering for ASM and for the communities that depend on it for their livelihoods and must not be prohibitive especially where no other alternatives are available to communities living in poverty. Involve mining communities where ASM activities occur, to participate in the policy process at grassroots levels. Gender impact assessment with data and statistics to back up advocacy. For both governments and corporations. More money should go towards women’s rights work. Specifically to women’s rights organizations, but not exclusively. Voicing for people and countries that can’t speak out, eg Angola. Make CSR legally enforceable and part of mining agreements and concessions. Emphasize the effectiveness, not just the numbers of women in influential and powerful organizations. Engage with unions with a view to make them more gender sensitive. Increasing the linking between issues and sectors eg education with non-profits. Evidence based. 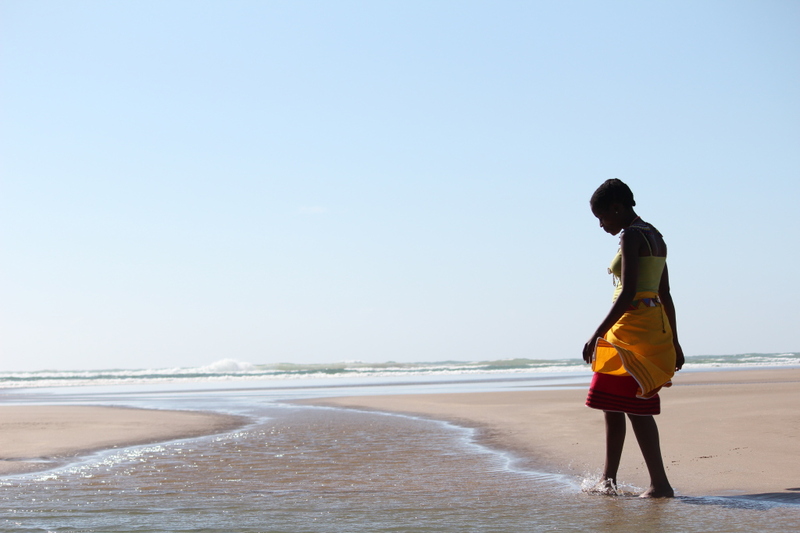 Increase the connections with women’s rights movements to bring their voices into the extractives construct. Build a movement around it. Public interest in litigation to worked best in conjunction with other aspects training and advocacy – focus should be on community lawsuits as opposed to institutional or individual. Class action. There was as also a recommendation for criminal prosecution against environmental damage..
Review social labour plans emanating from mine companies and view these as problematic in many dimensions. Research show that are the centre of problems. Raise awareness of the successful outcome of some slap suits, to encourage communities to take legal action on actions that negatively affect them. Need to realize the opportunities that come out of the African Charter which recognize property and cultural rights. That avenue has not been explored. There should be networking by lawyers of the developing world and those of developed ones.